Nathan Carter Song Lyrics. Some of the songs have guitar chords. 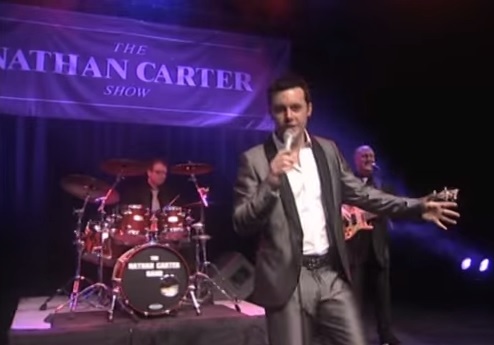 Nathan Carter is an Irish country music singer who was born in 1990, which makes him one of the youngest country music singers ever to make the big time in Ireland. Nathan sings a mixture of old Irish folk songs and new country songs. His biggest hit to date has been Wagon Wheel. Nathan sings and plays piano accordion with his band to packed out venues all over Ireland and abroad. The band's album Where I Wanna Be reached No.1 in the pop charts and outsold groups such as One Direction, M & M and kodaline. Nathan was brought up in Liverpool England. His influences in Country music come from listening to Big Tom and Daniel O'Donnell. When Nathan left England he settled in Donegal. Before moving to Ireland he played in pubs and Irish centres. In 2005 Nathan won an accordion competition at the fleadh cheoil in Letterkenny Donegal. Nathan appeared in an eposide of the tg4 soap Ros na Rún where he sang a few lines of the Dougie Maclean Caledonia which he recorded on the Wagon Wheel album. And going to school morning were colder, there was no such thing as a Bus. As she buttered our toast and buttened our coats, here's what my mother did say. Ah we all need a hug in the morning, and one at the end of the day. And many as possible squezed in between to keep life's troubles at bay. No matter where ever you ramble, our problems be great or be small. It is my beliefe that for instant relief, a hug is the best cure of all. I met an old exile in Boston, he longed to go back home one day. But he thought no one there would be caring, for he'd been so long away. To stop the tear drop in his coffee, he gave his old whiskers a tug. And he knew all he'd give all he needed to live, for a big welcome home again hug. And many as possible squeezed in between to keep life's troubles at bay. No matter where ever you ramble, your problems be great or be small. A letter can bring consolation, a phone call can brighten the night. In the midst of great aggravation, they can put at least some things to right. When your heart just feels like it's breaking, your life's slipping down past the plug. And you feel like a ghost, the thing you want most is someone to give you a hug. It is my belief that for instant relief, a hug is the best cure of all.